This circular walk begins at South Ockendon’s Derwent Parade, setting for the 1958 Housewives’ Revolt! 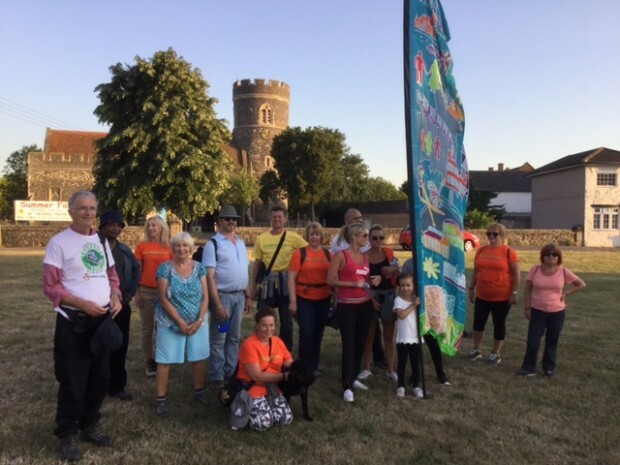 We will continue to see the remains of the Belhus Park’s 18th century Ice House and Stench Pipe, before continuing to the Ash Plantation, the estate that now stands on the site of Ford’s Aveley plant, and then to the Norman Church of St Nicholas with its circular tower. Download our map here. These walks are of different lengths and on different terrain. Some are mainly on footpaths, and others mainly on footpaths where ground may be uneven. Download our map here and use the colour coding so that you can decide if a route will be suitable for you. Whilst we endeavour to make all our walks as safe and enjoyable as possible, any walk attended is done so at your own risk. Click here to see our tips and recommendations!